- Plan for waterproof. 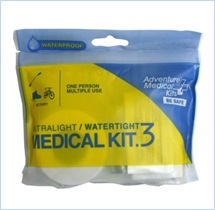 You really do not want to take chances with your medical supplies and/or First Aid Kit contents getting wet or contaminated (e.g. bacteria, mud or dust). Start by selecting waterproof container first. - Consider type of environment you are palling for. 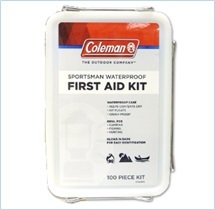 In extreme hot environment you might want to plan for burn cream, in extreme cold - heat pads. - Adjust contents. 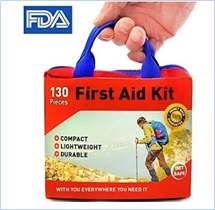 One would rarely find First Aid Kit that perfectly matches preferred packing list. Have your own list and plan to add/replace contents as required. 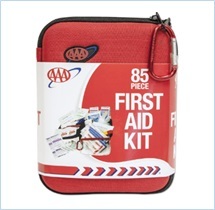 Make sure you are not allergic to gloves in your First Aid Kit. Most of them include latex gloves; if you are allergic to latex, replace. - Plan light. 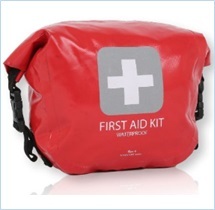 While you want to ensure your First Aid Kit contains all the basics, do not overdo it. Somewhere around 1-2 kg of content is about right. * Personal medications. 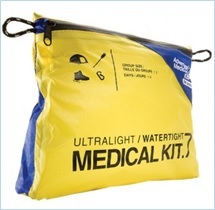 When packing for personal medications, plan for ample supplies. Even as QRB is supposed to support you for up to 72 ours, it would be still a good idea to keep a week worth of personal medications at any given time. You may also want to consider basic medications you might need in emergency situation. 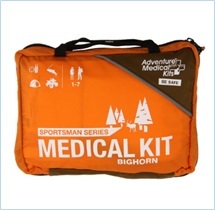 Pack cold tablets, oral rehydrates, pain killers, anti-diarrhea, etc. that you know work for you. Check with doctor if you are not sure whether you are allergic to these medications or not. You also would want to check legal requirements for country you are entering (or transiting through) if there are any legal restrictions/requirements for carrying medications. It is always good idea to keep medicines in original packaging, with user guide enclosed. You probably also want to carry any prescription you have with you, as documental proof as well as to easily replace medication if needed. * Spare glasses/ lenses. Pack spare prescription glasses and/or lenses in QRB. Make sure it’s in protective case (waterproof - in case of lenses) and with cleaning cloth for prescription glasses and/or sunglasses. It is generally good idea to plan for photochromic (light-adaptive) glasses, as you would only need to carry one pair instead of two (prescription and sun protection). * Spiritual/ prayer book. 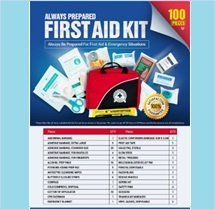 If you are person of faith, you may want to consider packing spiritual book for emergency. Spiritual strength is critical for emergency survival and recovery. * Sun protection cream. Consider SPF 50 or higher for environments where sun is concern (not only for extreme heat, but also for snow).